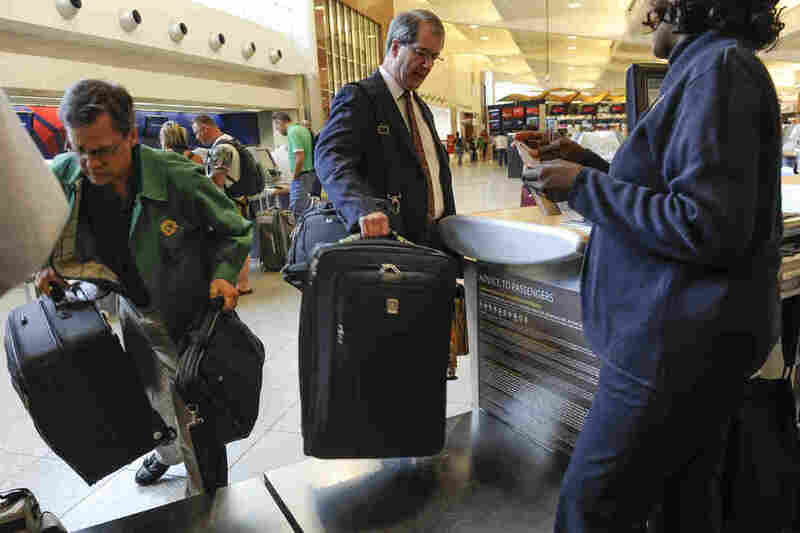 DOT Suspends Proposed Rule Requiring Airlines To Show Baggage Fee At Booking Late last week, the Department of Transportation announced it would withdraw proposed measures that would require airlines to show the full cost of booking, including baggage, at ticket purchase. The Trump administration's decision is being lambasted by consumer rights organizations and members of the U.S. Senate. The U.S. Department of Transportation released a statement last week announcing it would withdraw a proposed rule that would force airlines to disclose baggage and other fees at the time of ticket purchase. The decision to rescind the yet-to-be-enforced regulation from the Obama administration received heated responses from members of Congress and airline consumer rights organizations. The Trump Admin’s reckless reversal is a gift for the airlines’ bottom line - and a slap in the face for travelers who deserve clarity when buying a ticket. The Obama administration proposed and drafted the rule (called a "rulemaking" in DOT language), but it was never finalized because the Trump administration froze the rulemaking process shortly after taking office. So while the department's decision to drop the rule has riled up lawmakers and consumers alike, it technically hasn't eliminated any rules that were in effect. The officially named "Supplemental Notice of Proposed Rulemaking on Transparency of Airline Ancillary Service Fees" was one of two measures the department dropped Thursday. The other, the Notice of Proposed Rulemaking on Ancillary Airline Passenger Revenues, sought to require airlines to provide more information about how much money they make from ancillary fees — like seat upgrades and baggage fees. In the statement, the DOT says it made the decision to drop the two would-be rules "because they are of limited public benefit." "Airlines for America, an airline industry trade association, praised the administration and Transportation Secretary Elaine Chao for 'recognizing that airlines, like all other businesses, need the freedom to determine which third-parties they do business with and how best to market, display and sell their products.'" "This is NOT how you make air travel great again. Airlines are already exempt from all state and local consumer protection, much antitrust law, most other federal regulations and tort law. The DOT is their sole regulator. If the DOT refuses to correct abuses or enforce existing regulations (as happened in the Dr. Dao case), and repeals existing regulations, airlines will be the first US industry to have stripped the public of all economic protections from unfair predatory practices. Only Congress and the federal courts can now override this unfortunate DOT decision." Currently, third-party sites like Expedia and Hotwire offer price comparison on some of the major airlines. Missing from these sites is Southwest, which, the AP reports, claims its prices are proprietary information. Pricing information for Southwest flights is publicly available on its own website. Democratic Sens. Ed Markey, Elizabeth Warren and Richard Blumenthal released a joint statement on Friday condemning the DOT's decision. The statement said, in part, "This might be a great day for the airlines' bottom line, but it is a sad one for travelers who deserve transparency when buying an airline ticket." Not all travel and transportation writers and bloggers agreed with the senators, though. Gary Leff of website View from the Wing wrote this as part of his explanation as to why the department formally dropped the proposed regulation: "Because it was dumb." This is the latest of several Obama and Bush-era regulations that the Trump administration has killed in recent months. Previous rules include trucking safety and environmental regulations.